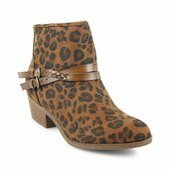 This trendy little ankle bootie features an elegant perforated floral detail, double cross strap accents with a braided facet on the top strap. The textile lining and cushioned insole allows for comfort, while the short heel gives just enough sass while still providing stability. 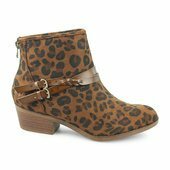 With the heel zipper the ease of which fast track women can slip on this stylish little bootie is second to none.